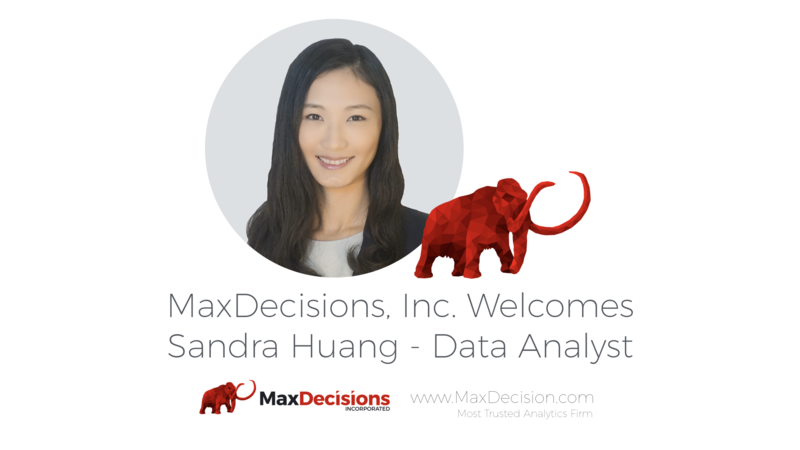 MaxDecisions, Inc. welcomes Sandra Huang – MaxDecisions, Inc.
MaxDecisions, Inc. continuous to expand with Sandra Huang joining as our new Data Analyst. Sandra Huang comes with years of data analytics, reporting experience at Brink’s, Bank of China and Agricultural Bank of China. Sandra graduated from University of Texas at Dallas with a Masters of Science degree in Information Technology and Management in 2015. She also received dual Bachelor’s degree from Xiamen University in Economics and Computer Software Engineering. As a Data Analyst at MaxDecisions, Inc., she will be responsible for performing credit risk analytics and using statistical methods to predict customer behaviors for various MaxDecisions, Inc. clients. MaxDecisions, Inc. founded in 2016 is an analytics consulting company based in Frisco, Texas. It’s services stretches across the global with international clients in finance and banking industry. MaxDecisions Inc.’s goal is to become the most trusted analytics company in the world.